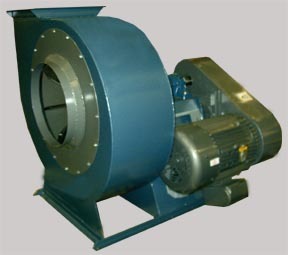 High Efficency Fans - Comes in multiple sizes to fit your specific process requirement. Unique design allows motor to be installed on inclined pedestal, eliminating the expense of remote motor base. Precision turned ground and polished shaft aids in smooth well balanced performance. Back cone, tapered inlet design and cupped blades enhance the static efficiency and reduce the losses for extra horsepower efficiency. 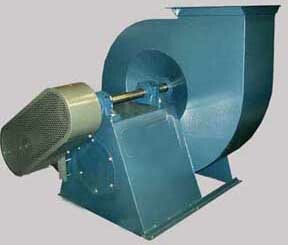 Comes in multiple sizes to fit your specific process requirement. 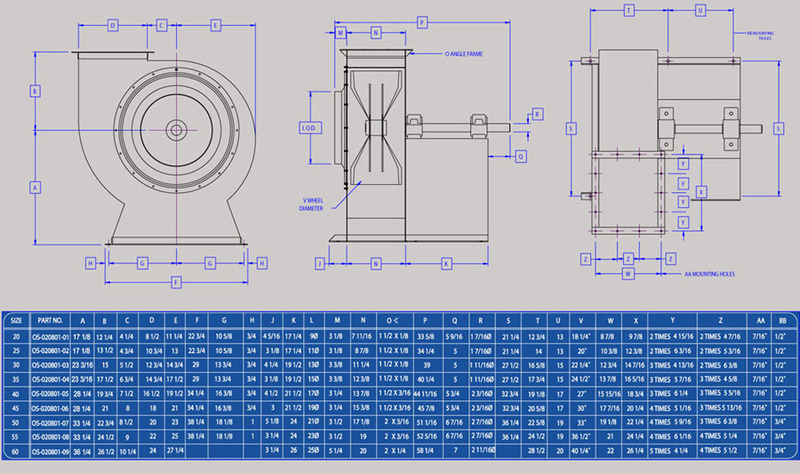 Heavy duty, industrial grade, material wheel design. Rugged double row spherical roller bearings insures long life and low maintenance.